SET in the picturesque mountains of Polkovnik Sera movo, this magical festival is now in its 8th year and attracts over 2,000 revellers. With an eclectic mix of live acts and DJs this year, there’ll be a stage takeover by Little Gay Brother, plus Groove Chronicles, Commix and Gwenan. Don’t miss the 6am sunrise set, it’s legendary. STAFF PICK: Donna Leake – a lesson through jazz, funk, psychedelic rock and more. BARCELONA’S best celebrates 25 years with everyone from A-Trak to Fatima Al Qadiri, Laurent Garnier to Sophie, and Helena Hauff to Little Simz. Plus there’s the not so small matter of a six-hour DJ Harvey set to contend with. Super eclectic and super cool as ever, this milestone year could perhaps be the best yet. STAFF PICK: Alva Noto & Ryuichi Sakamoto — the closing concert from two masterful composers. ALBANIA may not be the rst place you’d expect to nd yourself partying to The Black Madonna, Roy Ayers, Moodymann, Peggy Gou, Jayda G and Or:la, but new fest Kala aims to change that. Plus there’ll be crystal clear waters, untouched beaches and a rich history to explore. Read our full feature on page 110. STAFF PICK: DJ Alfredo — the Balearic master who inspired a generation. A brand new festival located in an impressive 19th century Polish fortress, with a penchant for music and audio-visual art. The promoters are already known for their Warsaw parties, and they’ve caught our attention with a techno-savvy line-up that includes Nina Kraviz, Dax J, Marcel Dettmann, Randomer, Kobosil and Headless Horseman. STAFF PICK: Zenker Brothers – the masters behind the Ilian Tape imprint bring off-kilter techno. THIS eco-friendly gathering in the Castle of Ribaucourt has won awards for its environmental sustainability. Amongst the activities are yoga and mindfulness, as well as life coaching sessions. The line-up is always pretty special too; catch Laurent Garnier, DJ Koze, Red Axes, Or:la, Call Super and Objekt in action this year. STAFF PICK: Romare — the Ninja Tune af liate will be performing with a live band. BACK for its fth edition, Italy’s Terraforma brings together experimental artists, art installations and a focus on sustainability. Acts across the three days range from techno legend Jeff Mills and Warp Records veterans Plaid, to rising stars like Scotland’s Lanark Artefax and Bristol techno head Batu. STAFF PICK: Vladimir Ivkovic — don’t miss this crate-digging session. 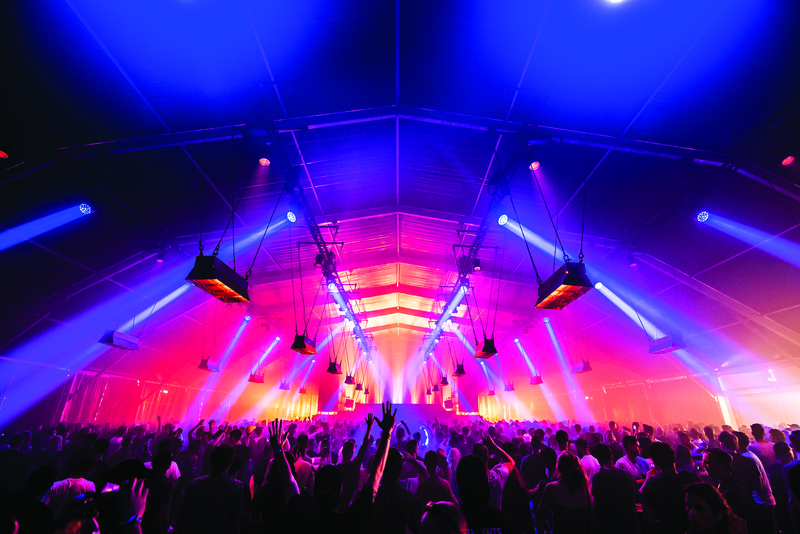 THE techno mecca of Italy is back for the 6th year running. 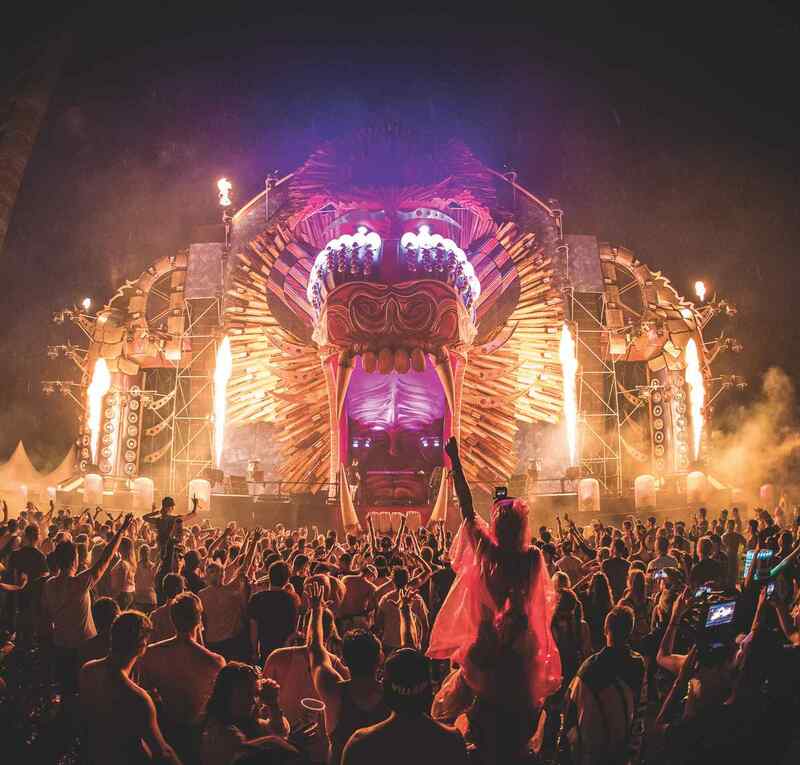 Across three stages they’ve invited the likes of Derrick May, Robert Hood, Stacey Pullen, Luciano, Adam Beyer, KiNK, Amelie Lens, Seth Troxler and more. The city site has expanded once again to hold the 50,000 keen ravers in attendance. STAFF PICK: Rødhåd — Berghain beats in the Italian metropolis. 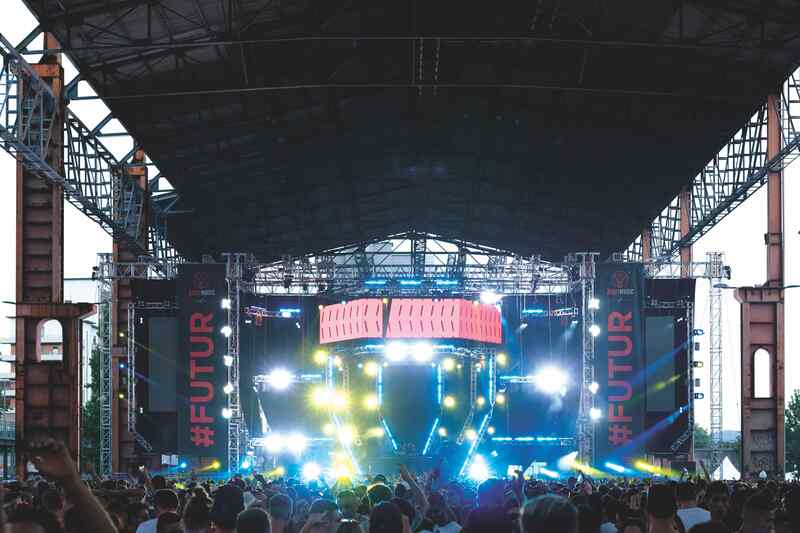 THIS award-winning fest deserves its unrivalled rep. Offering everything from David Guetta to Fever Ray this year, our recommendations are the high-walled Dance Arena, where Ben Klock, Amelie Lens and Anastasia Kristensen will hold court, and the secluded No Sleep Novi Sad stage, which will host Helena Hauff, Daniel Avery b2b Rødhåd, Red Axes and more. STAFF PICK: Nina Kraviz — her early morning festival-closing sets are the stuff of legend. THE festival in a German coal mine, complete with giant diggers, returns with another power- packing line-up, featuring DJs and live acts like Nina Kraviz, Jon Hopkins, Modeselektor, The Internet, BADBADNOTGOOD, The Black Madonna, Princess Nokia, Answer Code Request, Honey Dijon and many more. With two successful decades behind it, a top party is guaranteed. STAFF PICK: Fever Ray — her stunning 2017 album is reason enough. THIS line-up reads like a who’s who of modern jazz, neo-soul and funky hip-hop: The Roots (with special guests), D’Angelo, N.E.R.D, BADBADNOTGOOD, Anderson .Paak, Moses Boyd Exodus, Mulatu Astatke and many more play across two days in Rotterdam. One to kick back and relax at, then. STAFF PICK: Alessandro Cortini — incredibly emotive synthesizer bliss. GUN fingers at the ready, the world’s biggest drum & bass festival is back! Alongside titans like Andy C, Noisia and Pendulum, 2018 nds the likes of Mefjus, dBridge, Friction and S.P.Y play stage takeovers from Exit Records, Critical, Viper, Shogun Audio, Spearhead, Methlab and our own DJ Mag Bunker, amongst others. STAFF PICK: Skeptical — with his debut album dropping this year, expect plenty of goodies! ROMANIA’S worst kept secret, Untold offers titans aplenty from the realm of dance music. From the arena-worthy trance and EDM of Armin van Buuren and Afrojack, to the punishing techno of Nina Kraviz and legendary mixing skills of drum & bass hero Andy C, it’s big names, big beats and big fun all-round. STAFF PICK: Noisia — renowned Dutch d&b trio take to the decks. SANDWICHED between a fort and the sea, this Portuguese fest packs a punch way bigger than its diminutive size. This year St Germain, Jeff Mills, Ben Klock and Josh Wink rank amongst the biggest acts on the bill, but you’d be a fool to ignore Zadig, FJAAK, Ivan Smagghe and Nastia. STAFF PICK: Paula Temple b2b Rebekah — unrelenting brutalist techno? Yes please! DESCRIBED as a “sophisticated beer festival with international live music”, Haven sounds right up our street, especially when that music includes Kraftwerk, Kamasi Washington and Nils Frahm. With a focus on art, food and an aim to become 100 percent organic, providing chilled alternative to the usual three-day sesh fests. STAFF PICK: Jlin — this experimental Chicago footworker is a personal fave of Black Madge. THE annual rave on the beach of La Croisette, Cannes, returns for its 13th year. Joining punters across the sun-soaked three days will be techno headliners including Sven Väth, Amelie Lens, Agoria and Recondite. It’s fast become one of the biggest parties on the south coast of France, attracting around 30,000 people each year. STAFF PICK: Amelie Lens — heavyweight techno in the blazing sunshine. AS the name suggests, Flow encompasses a myriad of music styles from hip-hop to house and jazz. Set in a former power plant Suvilahti that provides a unique backdrop, this year they’ve invited plenty of live acts including The Arctic Monkeys, Kendrick Lamar, Patti Smith, Bonobo, and Noname. STAFF PICK: Young Marco — his feel-good productions are perfect for the festival setting. 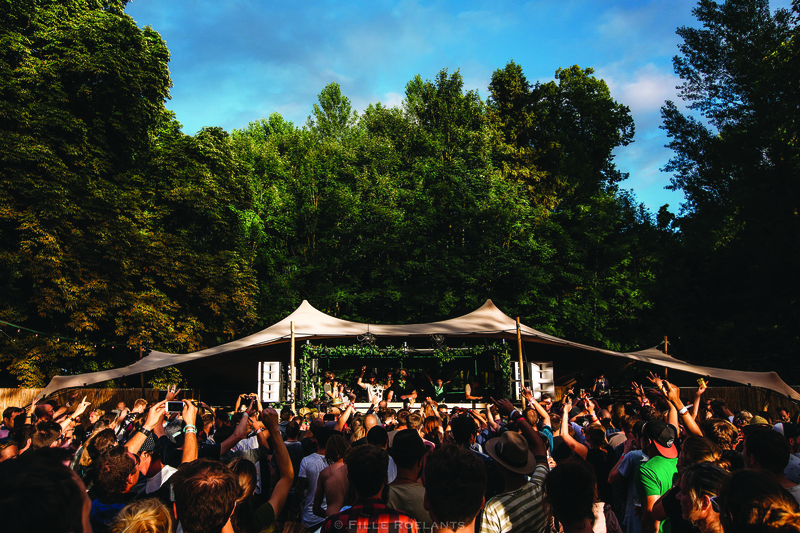 FANCY catching forward-thinking DJs such as Call Super, Objekt, Inga Mauer, DVS1, Om Unit, alongside jazz maestros like Kamaal Williams and Alfa Mist, all by a secluded lake in Portugal? We thought as much. Add to the mix a range of performances and installations and this makes for an unmissable event. STAFF PICK: Trance Wax — check out his edits and we’ll see you at the front. NOW over two-and-a-half decades old, this Dutch stalwart is truly mega. 2018 nds Richie Hawtin, Ben UFO, Charlotte de Witte, George FitzGerald, Daniel Avery, Avalon Emerson, Fatima Yamaha and David August amongst those in session. Plus headliners include rapper Kendrick Lamar and Gorillaz. STAFF PICK: Dr. Rubinstein — acid techno and electro of the highest order. WITH Lisbon becoming a haven for young artists and Portugal’s stunning natural and historical sites, the country is becoming a hotbed of underground fests. Now in its fth year, this one bags Helena Hauff, Mumdance, Surgeon, Pantha Du Prince, Lena Willikens, Blush Response, Anastasia Kristensen, and Antigone b2b Françios X, amongst others. STAFF PICK: I Hate Models — switch on to this energetic young ebm fanatic. LOCATED in the bustling heart of the Portuguese capital, the debut year of this festival will include parties held at the LX Factory and Lisbon’s Village Underground, and with acts such as Gilles Peterson, Little Dragon, Maribou State and Afriquoi this is sure to be a welcome addition to the city’s burgeoning nightlife scene. STAFF PICK: Peanut Butter Wolf — founder of Stones Throw and cut n’ scratch master.